First, I tried the finger test. It tastes a lot like the regular Heinz red, but as it goes down, you find another layer of flavor. So, I tried on a hot dog. With something fatty, there is definitely another layer of flavor that adds to the overall taste of what you are eating. It is hard to describe, lets just say it is a fuller bodied taste. I have tended to move away from ketchup on my food as I have gotten older because I think it covers up what the food is supposed to taste like. But, in my opinion, the Balsamic Vinegar variety adds something to what you are eating. Bottom line is, I will be buying this instead of the old standby in the future. 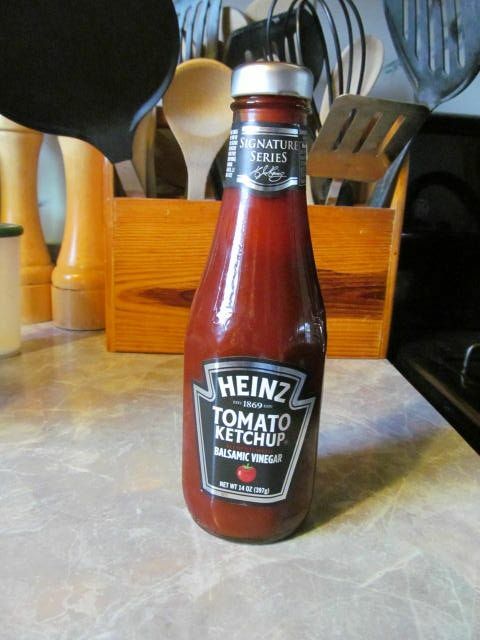 I think it will make a nice substitute in BBQ sauces where ketchup is called for in the recipe.